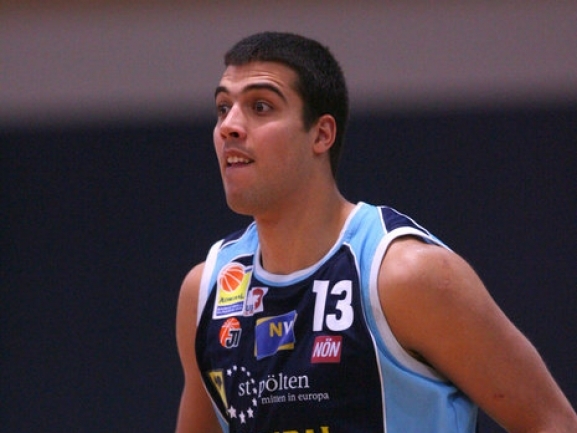 KK Napredk Rubin Krusevac added a new addition to their roster. The team announced the signing of Serbian forward Danilo Sibalic, who spent the last season with KK Ulcinj from Montenegro. 204-cm tall Sibalic brings some BIBL experience to the team from Krusevac, as he played in the Balkan League last season with the Montenegrin side KK Ulcinj. An interesting fact is that Sibalic will face his former teammates soon, as Napredak is in Group B of the League together with Ulcinj. Last season, Danilo Sibalic appeared in 8 Balkan League games for KK Ulcinj. He averaged 7.7 points and 1.8 rebounds in 15.6 minutes per contest, including three starts. In his career Sibalic has played also for Vojvodina, Sindjelic Nis and KG 07 (Serbia), KK Ovce Polje (Macedonia) and St.Polten (Austrria).